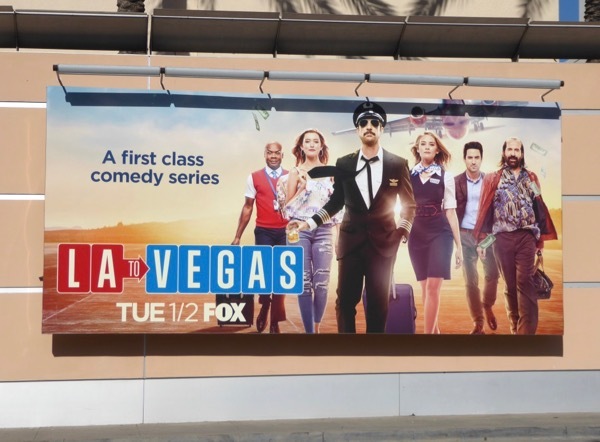 This New Year are you ready to take flight to new heights of hilarity with Fox's new workplace comedy, LA to Vegas? 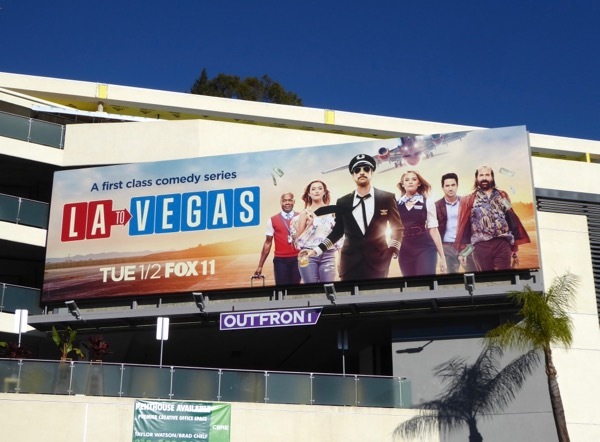 Climb aboard Jackpot Airlines and buckle up as Dylan McDermott's 'Captain Dave' and his flight crew ferry weekender passengers from the City of Angels to Sin City, all hoping to make that big score. 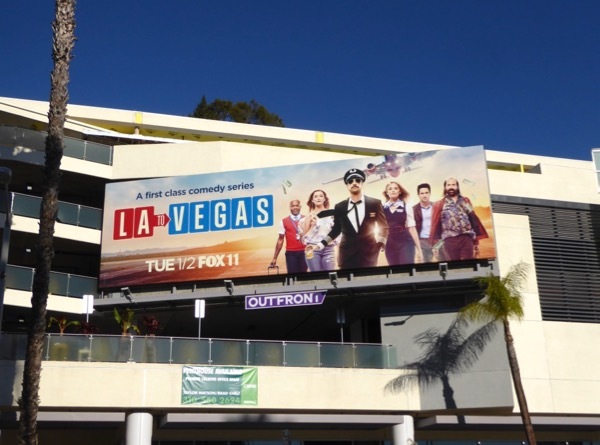 These series launch billboards were snapped at Fox Studios along Pico Boulevard on December 1 and above the Sunset Strip on December 12, 2017. 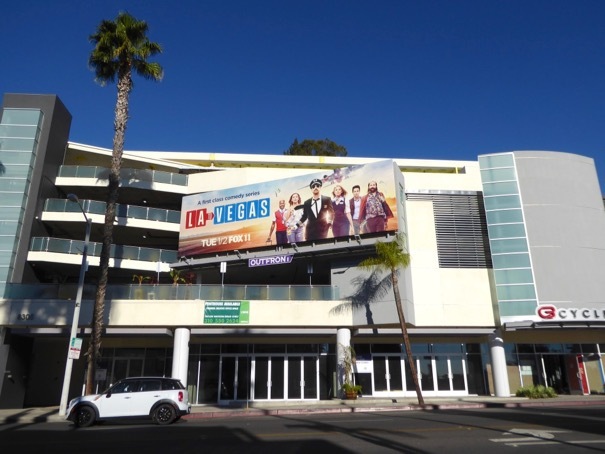 Plus be sure to check out all these real airline billboards that have been flying around the city skyline in recent years. Get ready for no-frills laughs aboard the budget shuttle every weekend with this eccentric collection of passengers and crew. Wherever your jet set adventures take you tonight, have a happy and safe New Year's Eve.